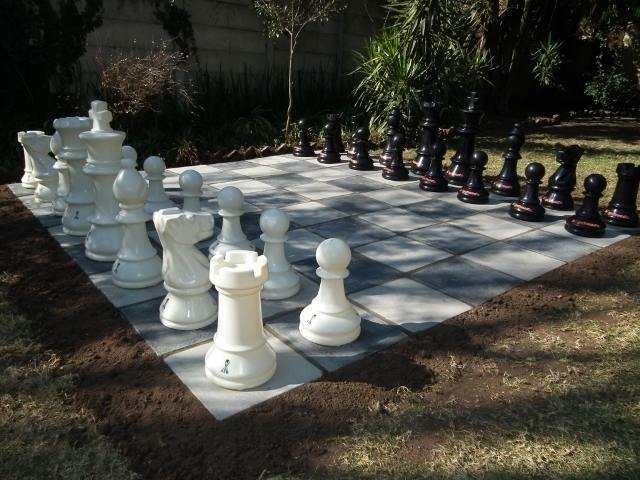 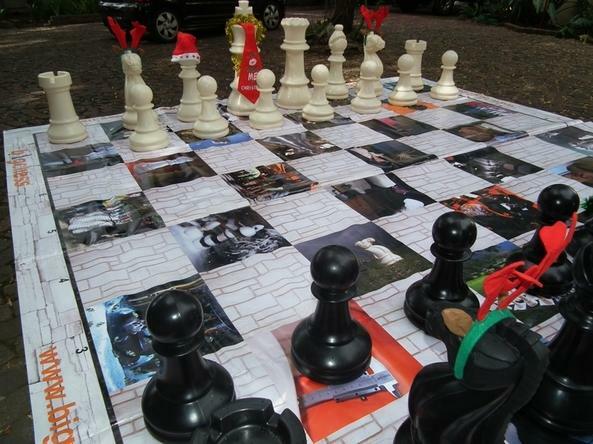 There are several board options, your choice will depend upon where the chess set is to be used. 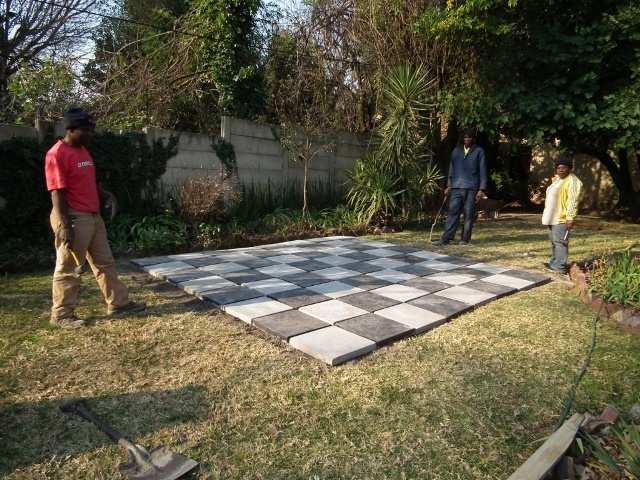 Carpet tiles can be used - these can be purchased from Game in a choice of colours. 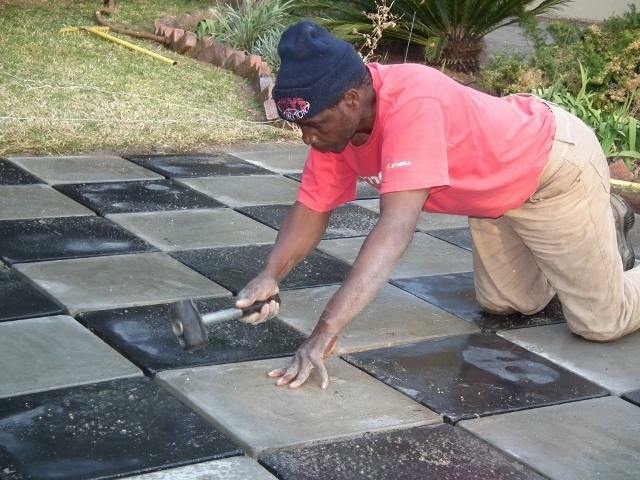 We suggest blue and grey. 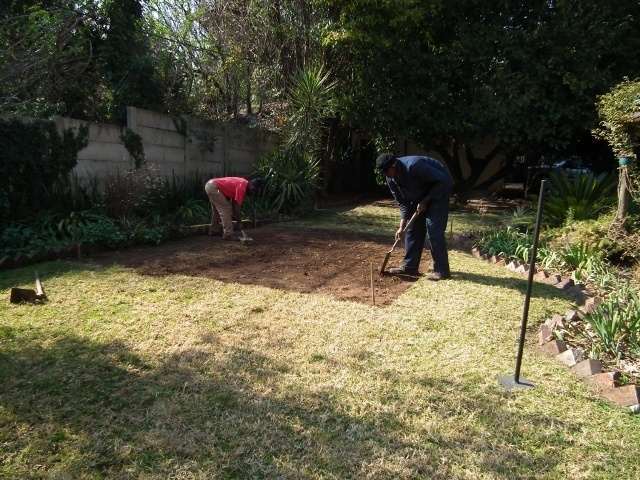 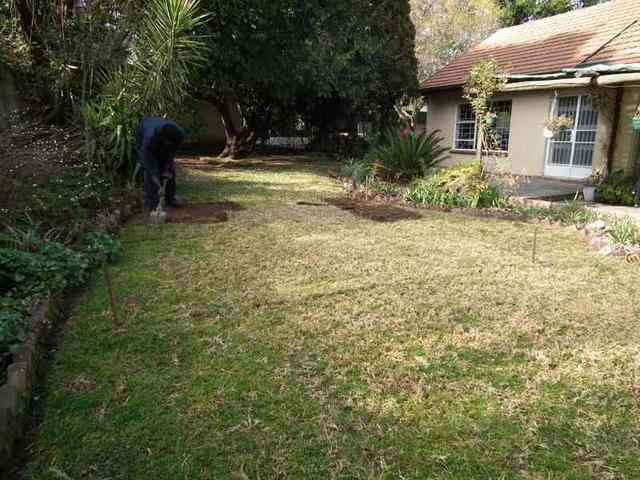 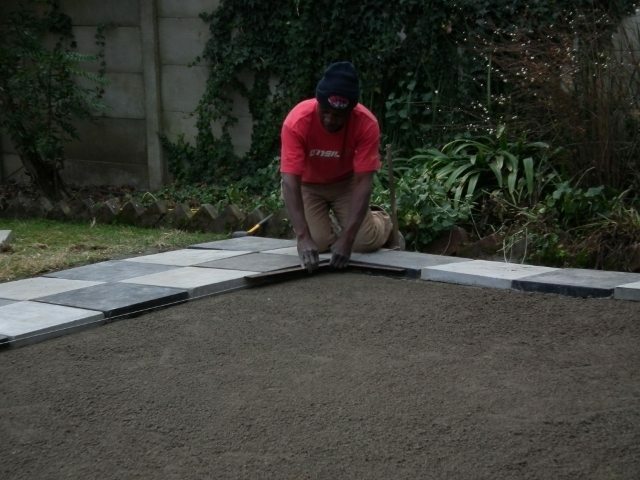 The cost for 64 carpet tiles is around R1,200 (July 2011). 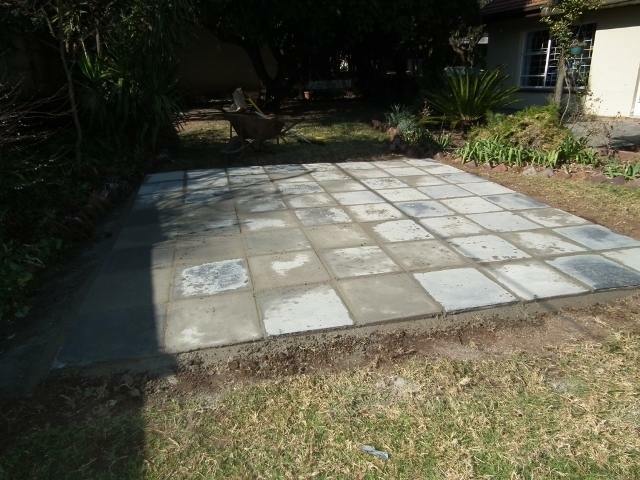 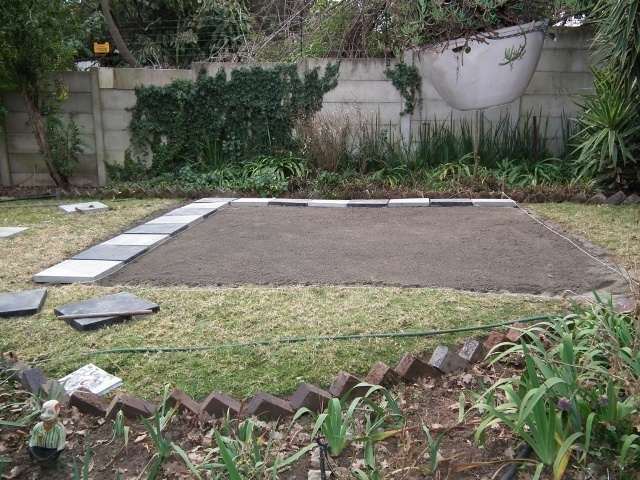 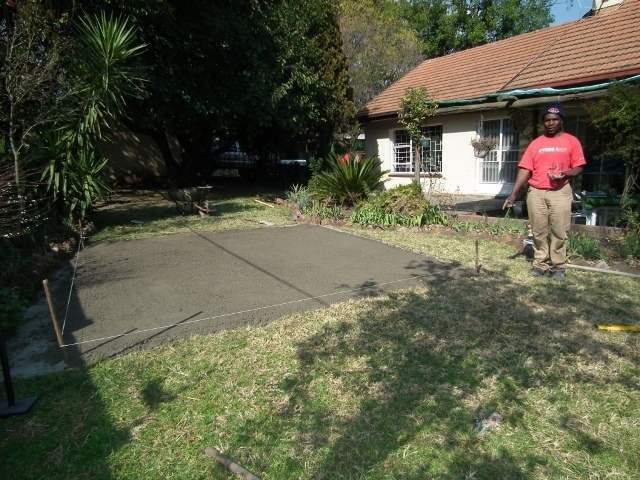 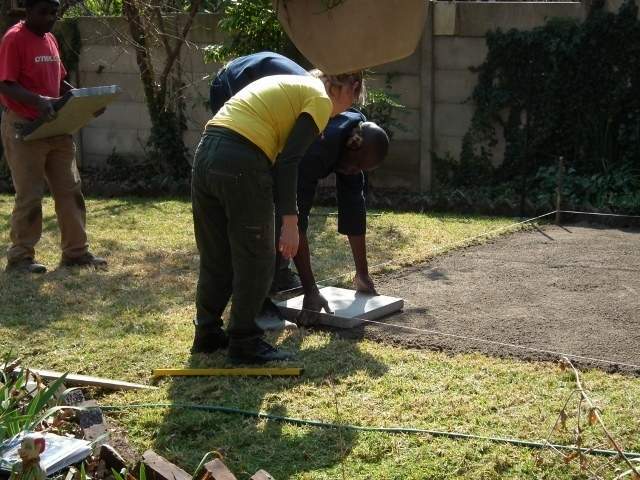 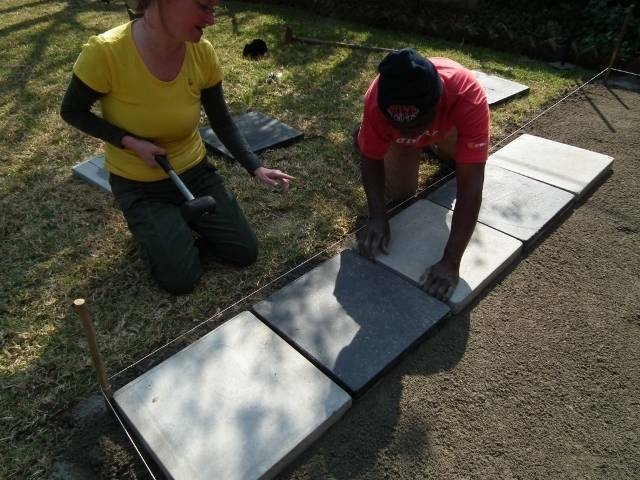 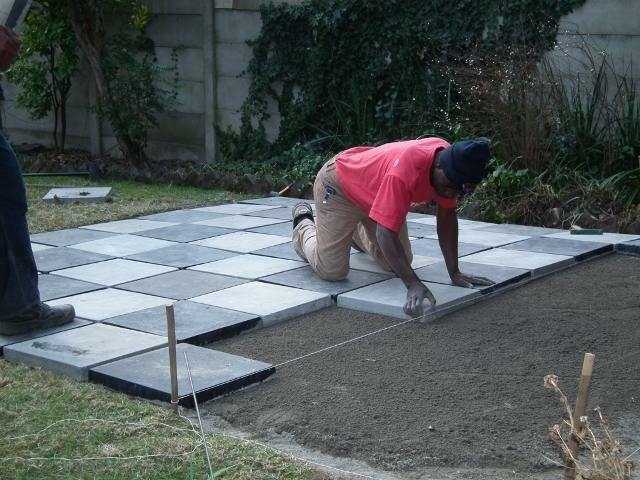 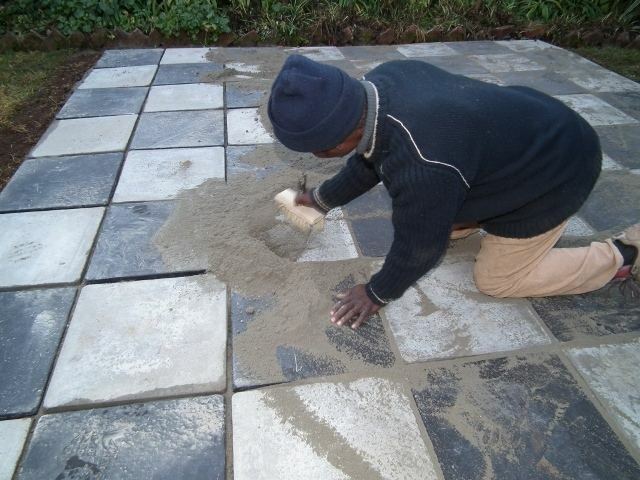 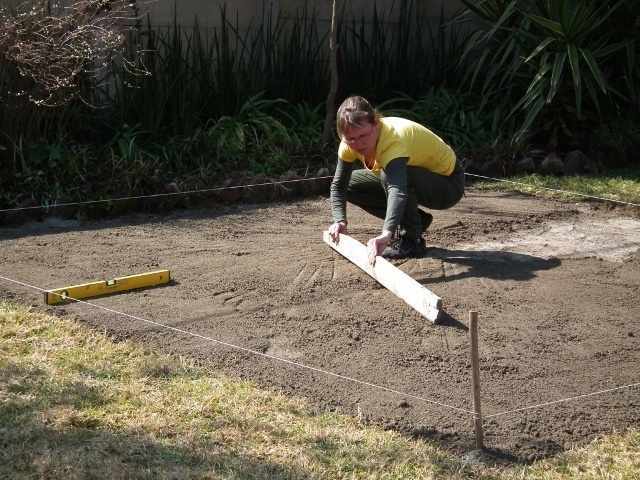 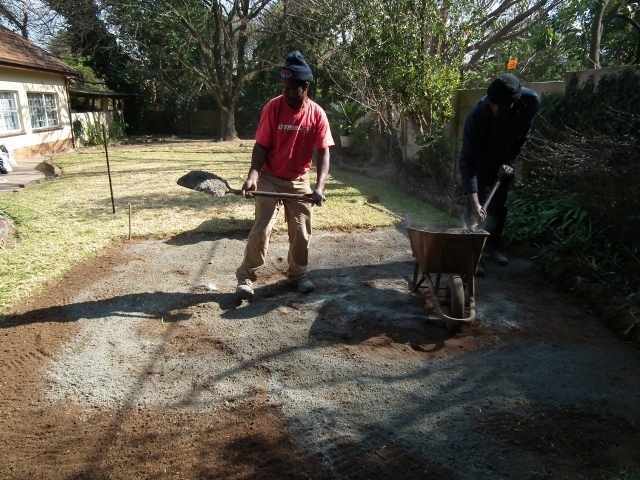 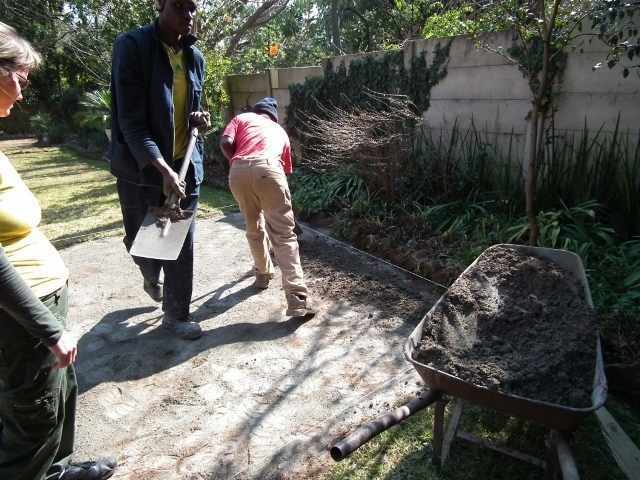 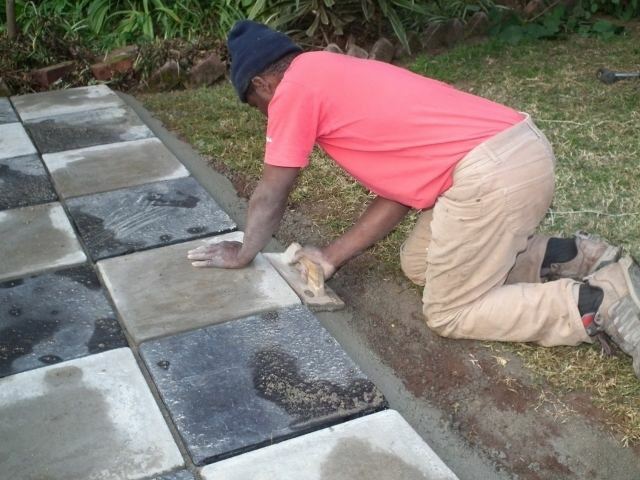 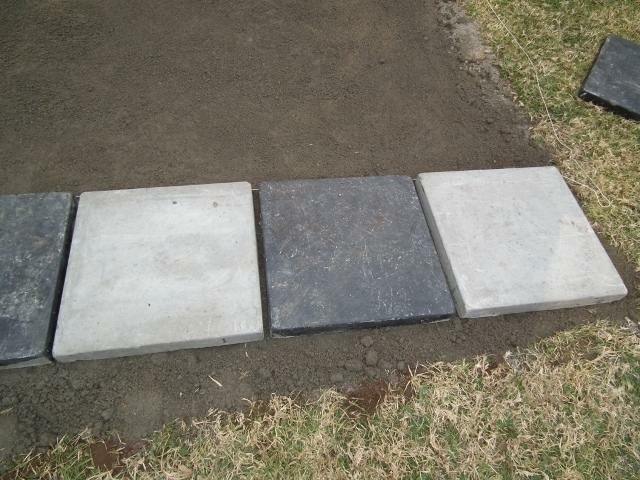 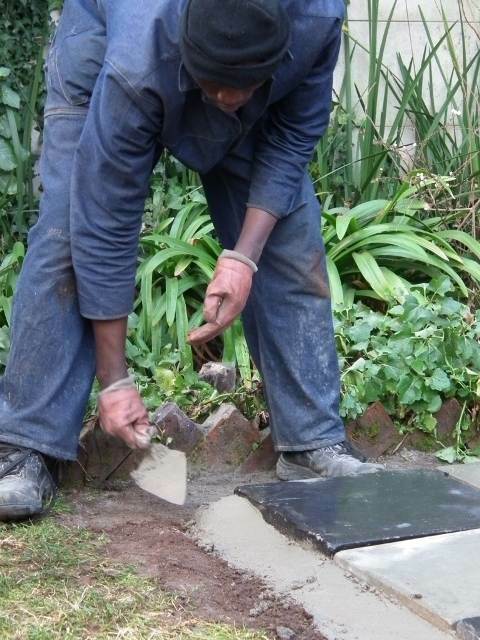 We recommend concrete paving slabs 455 x 455 mm. 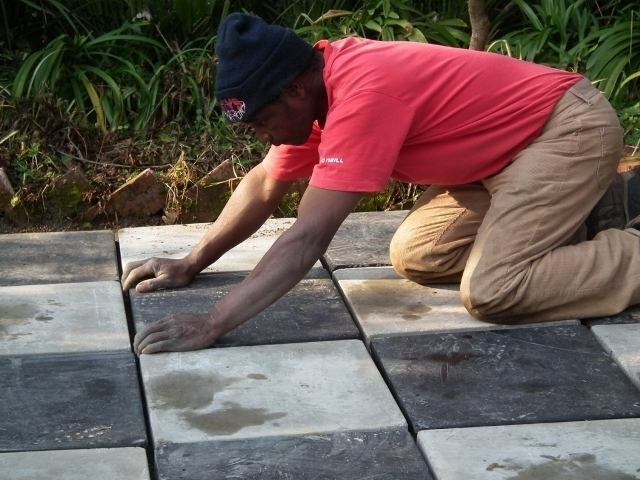 Can be bought from most building material supply stores at about R32 each (May 2017). 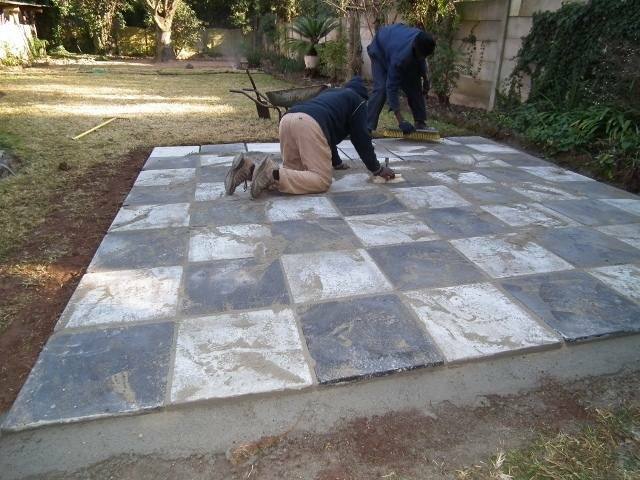 This makes the board size around 4.11 x 4.11 m with 10 mm grout between slabs. 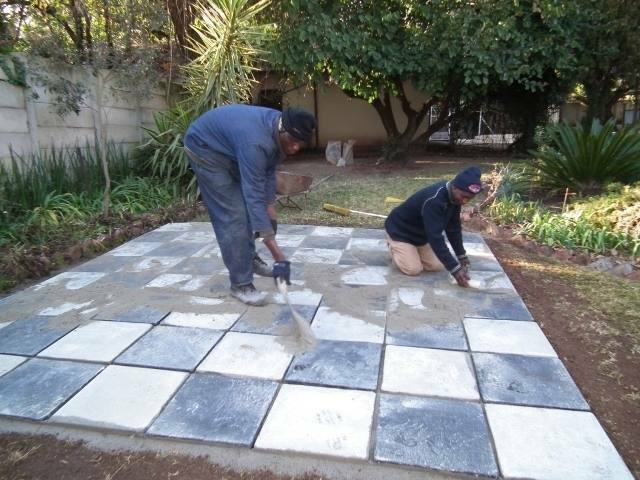 We recommend painting only the dark squares as the light or white will show the dirt fairly quickly. 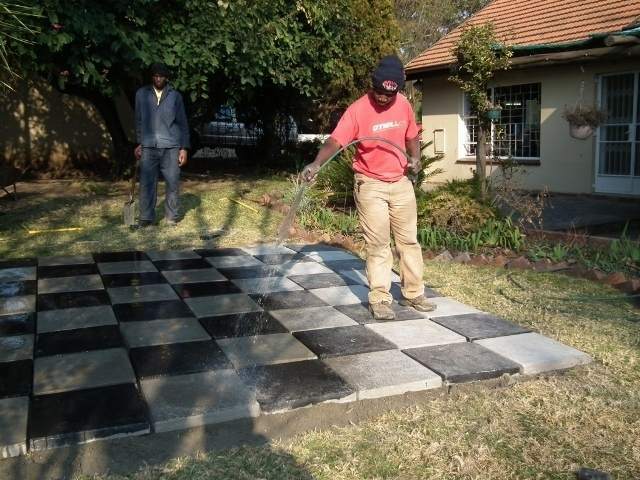 Roofpaint directly onto the cement slabs works well and two coats are recommended. 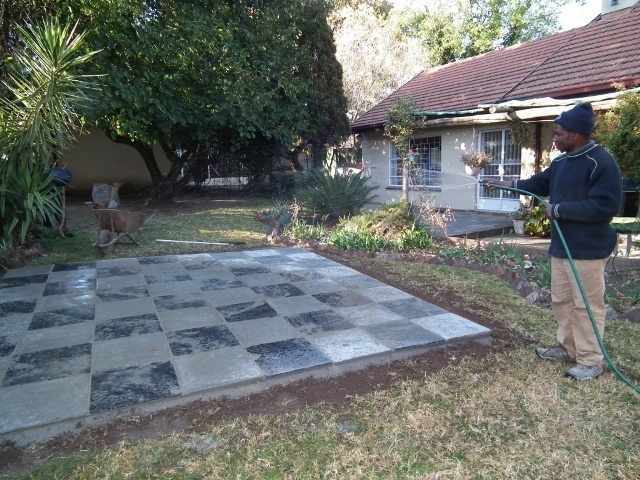 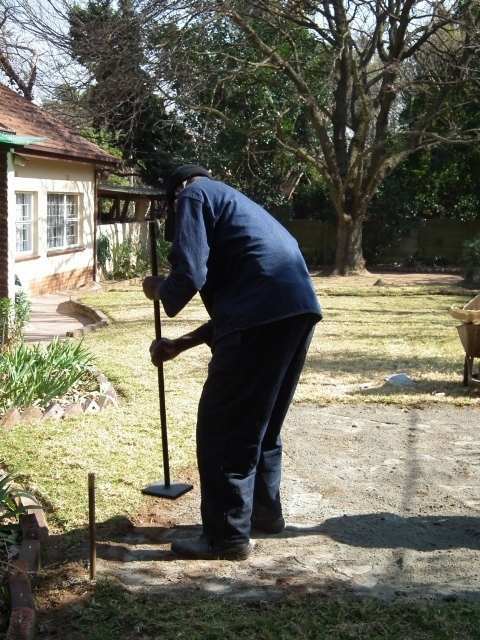 Painting is recommended after the cement has been allowed to dry. 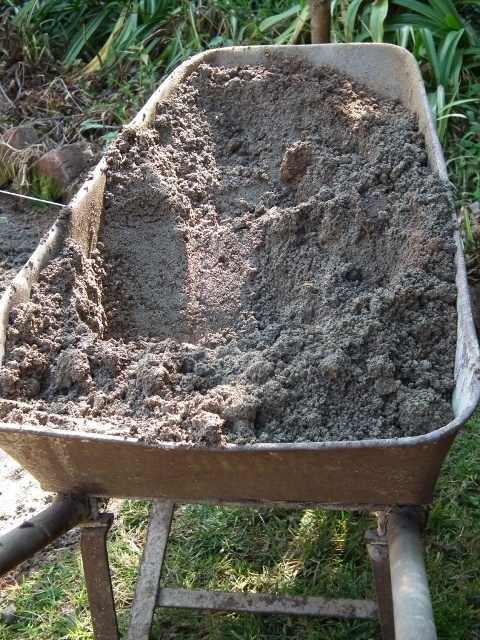 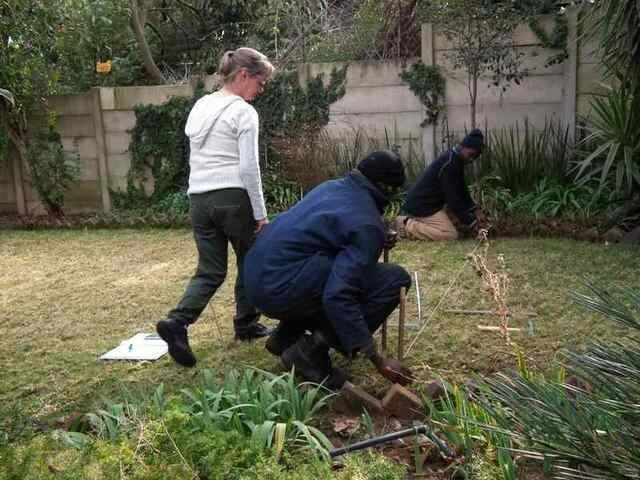 Full strength is achieved after a week or so and some light watering can be applied.